Intel used its 5G Summit on the eve of MWC Americas to outline its position in the 5G ecosystem, and showcase how the technology has the potential to transform the media industry. 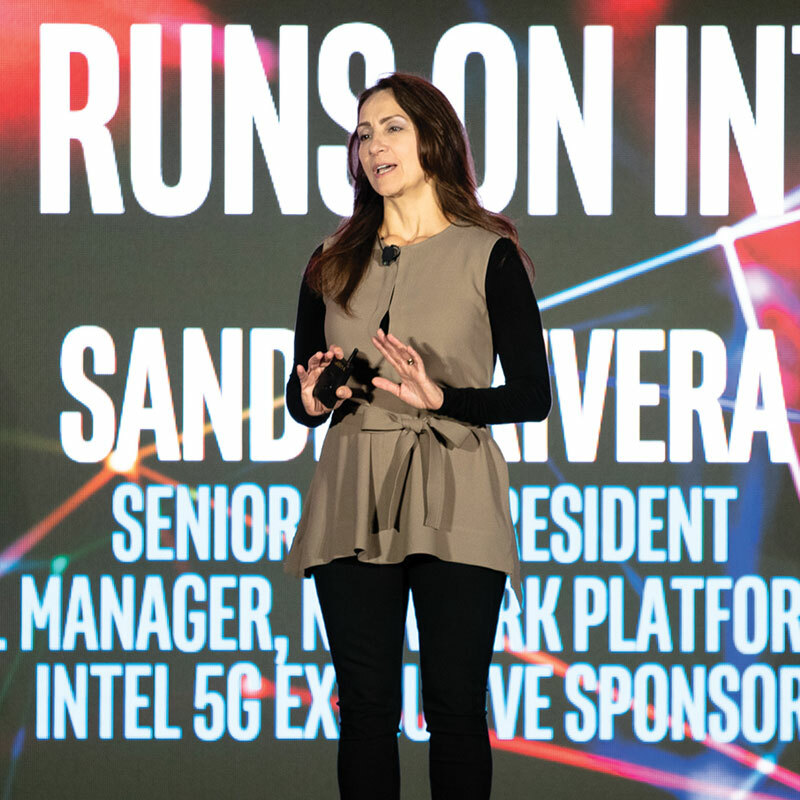 Sandra Rivera, SVP and general manager of the networks platform group at Intel, proclaimed the company is “powering the first wave of 5G networks”, highlighting work with Ericsson and Nokia on trials and pilots. “We’ve worked collaboratively with our customers to offer a broad portfolio of capabilities, from the client to the access, to the edge, to the core, and to the cloud,” she said. Intel’s event featured participation from a number of media companies, who shared their visions of how technology will impact their industries. These two themes echoed comments from other industry executives, who focused on a trial of 5G technology at the US Open golf tournament, which saw Intel, Ericsson, AT&T and Fox Sports working together. Mike Davis, SVP of technical and field operations at Fox Sports, described golf as “a tremendously inefficient sport to cover”, due to the need to deploy multiple cameras at each hole to capture the action. The high speed and low latency of the 5G network meant wireless cameras could operate alongside fixed, and “you really couldn’t tell from our normal 4K cameras and those on 5G”. Robert Powers, executive director of global business and tech strategy at Fox Innovation Lab, said: “One of the things I am most interested in is the intelligence, the idea that eventually we will be able to sensor everything, so everything is taking in and giving out data.” This data could then be used to power personalised and immersive experiences, using technology such as AR. Igal Elbaz, SVP of wireless network architecture and design at AT&T, said the key to making the promise of 5G a reality lies in “how we take trials and learnings and make them consumable products”.